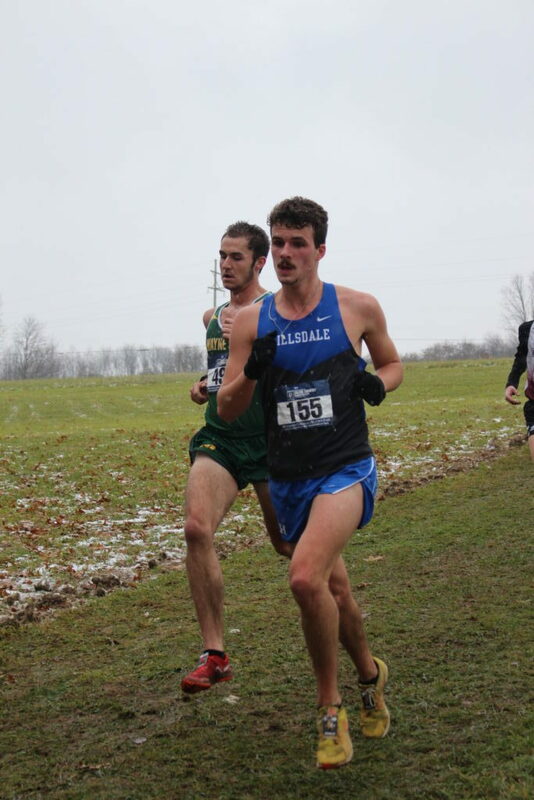 The Hillsdale men’s cross country team placed sixth on a snowy day in Hayden Park at the NCAA Division II Midwest Regional on Nov. 17. 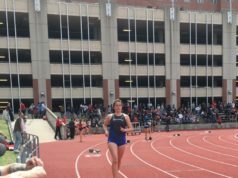 That wasn’t quite high enough for the team to advance to the national meet on Sat­urday, but junior standout Joey Humes fin­ished fifth to qualify for the national meet indi­vid­ually. Humes was a part of Hillsdale’s 2016 national-qual­i­fying cross country team, and com­peted at the national indoor and outdoor track meets last year. Racing well at the regional meet is the way to qualify for nationals, and Humes said he was relieved to be able to race well under the pressure. Assistant coach R.P White said he wasn’t sur­prised that Humes qual­ified for the national meet, and thinks Humes can perform well at the national level. “Joey is a national caliber athlete and as long as he believes that, he will bring home his first All-American accolade,” White said. Eli Poth, Mark Miller, and Morgan Mor­rison all set per­sonal bests at the regional meet, despite the tough con­di­tions and dif­ficult terrain at Hayden Park. Even though the team did not qualify, White said the Chargers ran their best race of the year on the day when it mat­tered most. The cross country team will return all members except Eli Poth next year, and the team expects to con­tinue to improve next season. The team entered this year unranked in the region and took sixth place out of 32 teams. 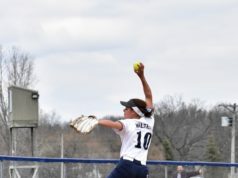 Even with another year of expe­rience for the seven under­classmen, White said they will still miss Poth’s expe­rience next year. While the most of the team tran­si­tions to the indoor track season, Humes has one more cross country race to run. The national meet will take place Dec. 1 at Schenley Park in Pitts­burgh, Penn­syl­vania, on a course that Humes took fourth place on earlier in the year. The race begins at 11 a.m. Humes said he’s looking forward to show­casing his training at the national level.